AIV takes the lead on the key issues impacting the state's economy, engaging state leaders, mobilizing busi­ness leaders, organizing other associations in coalition ef­forts, and representing the broader business commu­nity on special commissions and committees. Whether AIV acts alone or leads a coalition, our members know that we will always stand up for their interests. The following are highlights of some key issues AIV has worked on in the past and continues to work on today. This information is updated periodically, most recently in December 2017. For more recent updates or more information about these and other issues and initiatives, don't hestiate to contact us at info@aivt.org. Revitalizing interest in manufacturing as a career path and ensuring that Vermont has the infrastructure, re­sources, and networks to link qualified workers with em­ployers is one of AIV's primary ongoing cam­paigns. AIV has partnered with the Manufacturing Institute to bring the national Dream It. Do It. campaign to Vermont. AIV will be working with stakeholders to connect manufacturers, students, par­ents, and educators to encourage and empower the next generation of manufacturing's workforce and leadership. AIV is also working with the Manufacturing Institute and state agencies and institutions to promote and develop enhanced workforce training and education programs. AIV consistently leads the rest of the business commu­nity on tax issues, often the only organization en­gaged and making a difference on specific issues. AIV is currently actively engaged in efforts to build support for pro-manufacturing tax reform like "single sales factor" income tax reform (which would benefit exporters of goods and services to other states and countries), im­proving Vermont's sales tax exemption for machinery and equipment, enhancing R&D tax incentives, and more. 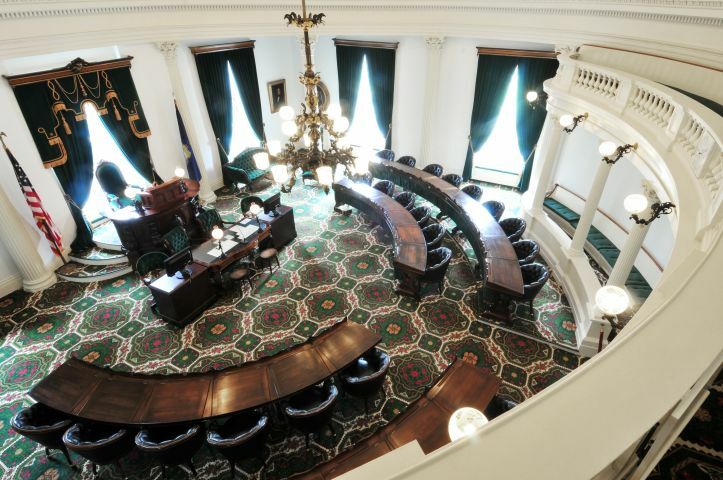 We are also preparing to counter another potential push this com­ing legislative session to increase taxes on Vermont manufacturers and other businesses connected to multi­national operations. AIV already defeated several at­tempts to pass such legislation in recent years. Before recent changes to federal taxes, AIV also led three successful efforts in recent years to turn back legislation that would have blocked the state pass-through of the federal domestic production deduction, a move that would have increased taxes on manufacturers and other productive businesses. Several years ago we played a critical role in initially preserving Vermont's capital gains exemption and laying the groundwork for protecting investment in Vermont. Although the exemption was later virtually eliminated in 2009, AIV then helped lead follow-up efforts to restore a significant part of the exemption, and will continue ef­forts to win full restoration in the future. Other accomplishments in recent years include single-handedly defeating the passage of restrictions on net op­erating loss deductions and then leading successful ef­forts to pass positive NOL reforms the following year. AIV was the only organization to oppose the adoption of unitary combined reporting, which has made Vermont a more costly location for many multi-state and multi-na­tional corporations. AIV is now leading efforts to develop alternatives to UCR as part of a broader initiative to make the Vermont tax code more supportive of economic development and manufacturing. AIV has long led efforts against unduly restrictive or cost­ly workplace mandates and other unreasonable pres­sures on labor costs. Over the past several years, AIV played a central role in successfully pushing back on pro­posals to mandate specific workplace policies, as well as other proposed legislation to restrict employer flexibility and increased costs. Although a mandatory paid medical leave law was enacted recently, AIV is working to address compliance issues and identify and promote potential legislative changes. After successfully helping to forestall flawed proposals for additional mandatory paid leave and increases in the minimum wage during the last Legislature, we are now working to prepare for new proposals on these issues in the new Legislature. AIV is also working to address growing concerns about drug use and its impact both on Vermonters trying to enter the workforce and on employers seeking to find qualified and reliable new hires and ensure a safe work­place. As the Senate developed marijuana legalization in 2016, AIV built a foundation of support for drug testing reform that we will be building on as related legislation might be considered in 2019 and as the Governor's Marijuana Advisory Commission considers related recommendations. AIV coordinated efforts of allied business organizations to overhaul the statutes governing the classification of independent contractors and employees. Legal and regu­latory decisions in recent years had made it increasingly difficult for Vermont employers to make use of independ­ent contractors. Currently we are working to determine whether recent administrative and legal precedents have made a meaningful difference for employers seeking to utilize independent contractors. AIV, which developed and promoted voluntary notice standards for Vermont employers facing large scale lay-offs starting in the 1980s, took the lead a few years ago in negotiating with the Department of Labor and legisla­tors to ensure that the new law requiring prior notifica­tion to the state of layoffs included reasonable standards and exemptions and avoided exposing em­ployers to un­warranted penalties. AIV led the efforts of the business community to promote difficult but balanced and necessary UI reforms in 2010, including efforts to keep employer tax increases to the minimum necessary and to help ensure that fair but meaningful reductions in benefit spending were part of the final reform package. In 2013 and 2014, AIV suc­cessfully led efforts against proposals to undo these spending restraints. AIV has also repeatedly turned back legislation that would have restricted the ability of em­ployers to qualify for Short Time Compensation plans to support and hold onto workers during hard times. AIV has long been the leading organization on addressing the cost of workers' compensation. AIV played a central role in the steps toward workers' compensation reform in 2004 and led the renewed coalition effort for reform in following years, setting the agenda for the continued fight for meaningful reform. During this time we have al­so led several successful efforts against new proposals that would increase the cost of workers' compensation. AIV is currently working on addressing fraud and providing greater financial incentives and rewards for enhanced workplace safety programs. AIV is the most active and effective business organization in Vermont representing commercial and industrial rate­payers on energy issues before the Legislature and the Public Utility Commission. In 2014, AIV secured enactment of a new statutory provision to help prioritize the affordability and reliability of electricity for manufacturers and other high value em­ployers when the Commission and the Public Service De­partment implement energy policies and regulations. AIV also won the establishment of a study and report process in which AIV is working with the Department of Public Service and Agency of Commerce to examine and develop proposals for new policies to ad­dress affordability issues, including examin­ing the poten­tial for special rate designs and a degree of retail choice for manufacturers, as well as alternative fi­nancing mechanisms for energy efficiency programs to reduce the financial burden of the current system. Legislation was enacted this past session to create a pilot program for greater flexibility for companies retaining their own Energy Efficiency Charge dollars, and we are working to help move forward with further and more substantial changes in rate structure and costs flowing from this ongoing process. Over the years, AIV has been the only organization con­sistently and actively involved in efforts to try to ensure that Vermont's energy efficiency programs are as cost ef­fective as possible and to promote alternative funding mecha­nisms to reduce the burden of the Energy Efficien­cy Charge. AIV played the leading role in creating the Energy Savings Account option for employ­ers to effec­tively keep more of their own money for their own pro­jects, and is currently working with the Department of Public Service and Agency of Commerce to make the program more beneficial and easier to use (see the pilot program above). AIV has consistently led efforts to restrain additional re­newable mandates on utilities and ratepayers and to en­courage that renewable energy be promoted in Vermont through more cost effective, affordability-focused policies, including intelligent permit reform and tax incentives ra­ther than mandates that distort markets and shift un­due costs onto ratepayers. AIV has also supported ef­forts to encourage the growth of merchant generation. AIV continues to support the long term expansion of Vermont's natural gas infrastructure and the growth of third-party delivery services so that more Ver­mont manufacturers can access af­fordable and reli­able natural gas to meet heating and processing needs. 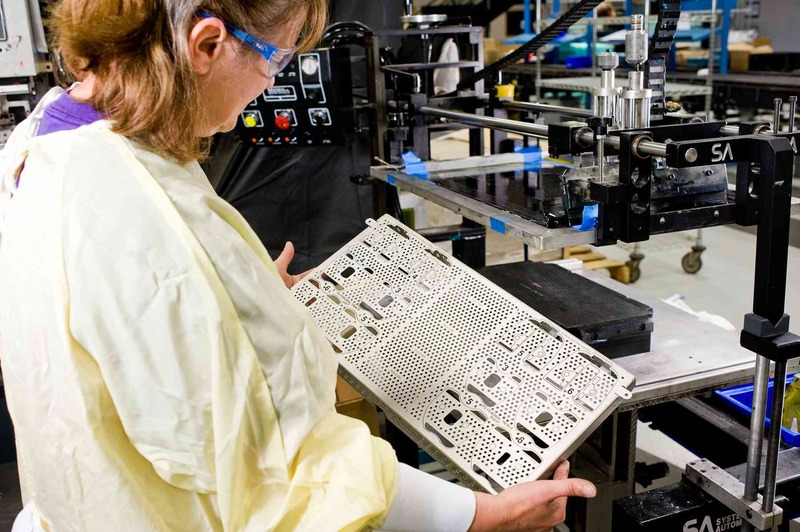 AIV plays a key role in regulatory is­sues impacting production and operations as well as construction and in­frastructure critical to manufacturers and others. AIV continues to lead Vermont's manufacturing commu­nity and is part­nered closely with national stakeholders in ongoing debates over state regulation of chemicals in prod­ucts. Legislation was passed this past legislative session to enact a number of new chemical and product reporting and other regulatory provisions, as well as impose a number of new legal liabilities on manufacturers and other companies. AIV successfully helped to forestall this legislation, supporting successful gubernatorial vetoes, and will be leading efforts to do so again this coming year while coordinating engagement between manufacturers and the recently created Interagency Committee on Chemical Management to develop more rational and helpful reform of chemical regulations. In 2014 we successfully held off the more costly and bur­densome proposals and helped mitigate the potential compliance problems for Vermont manufac­turers in the new law governing products marketed for children. Nevertheless, the new law will present serious challenges for Vermont manufacturers, so we are now leading efforts to ensure that the new law is implemented in ways most favorable to Vermont manufactur­ers and to defend against efforts to expand and tighten restrictions in 2019. AIV is also leading efforts to turn back proposals to im­pose mandatory financial and administrative liabilities on manufacturers for recycling and reclaiming their prod­ucts. At the same time, AIV has helped support and en­act recycling programs that are developed by and sup­ported by the industries involved. We are currently co­ordinating engagement by Vermont employers and na­tional organizations with ANR as it reviews possible pro­posals for a wide range of products and materials. Over recent years, AIV has worked directly on changes to solid waste, air toxics, and groundwater rules, and remains engaged with ANR and the Natural Resources Board on ongoing rulemaking and related developments. AIV worked closely in developing and passing Act 250 re­form in the early part of the last decade, directly in­fluencing key provisions. We have worked to hold off subsequent changes that would worsen Vermont's per­mitting environment. Affordable, quality transportation options and infrastruc­ture are fundamental to the movement of goods and supplies, the lifeblood of manufacturing. AIV has long led efforts to keep Vermont's weight and length limits on trucking reasonable and competitive with other states, and to oppose unwarranted or discrimina­tory fuel and vehicle class charges. AIV also supports maximizing the potential for rail trans­portation in the state, as well as the value of air services. With our transportation system caught in a needs and funding crunch, AIV remains vigilant against the return to rampant transfers of transportation funds to unrelated programs and supports a "back to basics" focus on repair and economically necessary construction.